This month marks the 5th anniversary of the Tohoku Earthquake and the loss of the lives of the two JETs Taylor Anderson and Monty Dickson. Many JETAA chapters around the world are getting together to remember those affected by the disaster as well as raise money for various organisations in Tohoku. This edition of the JETAA Chapter Beat will focus on these events. About the film: In March 2013, Wesley Julian launched and successfully funded a Kickstarter campaign to create Tohoku Tomo — a documentary film telling the story of true friendship and commitment to Japan’s recovery by the international community following the Great East Japan Earthquake. Julian and a small team traveled across the United States and Japan to interview individuals who have made and continue to make a difference in Tohoku. Many of these people dropped what they were doing and dedicated themselves to Japan’s recovery. Many of them even took it upon themselves to establish non-profit organizations aimed at connecting with and rebuilding Tohoku and its communities. At the core of all of these organizations are individuals. Many of these groups were founded by members of the Japan Exchange and Teaching (JET Program). What started as a love of Japan through teaching blossomed into a true friendship and commitment to the Tohoku region. These founders and many other volunteers have truly become friends of Tohoku. They are, in Japanese, Tohoku Tomo. About the Project: The mission of the 113 Project is to create a venue for dialogue and action that reclaims the message of the Tohoku disaster as an opportunity for good. The 113 Project will encourage collaboration among thought leaders, activists, community members and volunteers to continue the critical work of recovery and revitalization in Tohoku as well as to look at and address together challenges faced by others through the lens of lessons learned out of the Tohoku experience. For a full list of Tohoku Tomo and 113 Project events, please see the Tohoku Tomo website at http://tohokutomo.com/screenings/ or email them at info@tohokutomo.com. About the film: This film is a story about Taylor Anderson and all the young people who travel the world trying to make a difference. 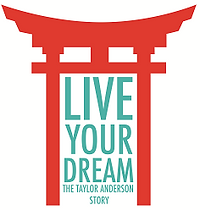 Taylor was an extraordinary American who dedicated herself to teaching Japanese children, living her dream right up to the events of March 11, 2011. The earthquake and tsunami in Japan were a disaster that no one could have expected. 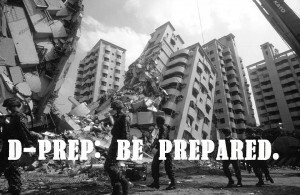 Recognizing the need for more disaster preparation events in English, JETAA Western Japan and AJET will hold D-PREP. Hosting a Big Bento Lunch is as easy as rounding up up a group of your friends and work mates and eating some delicious Japanese food! 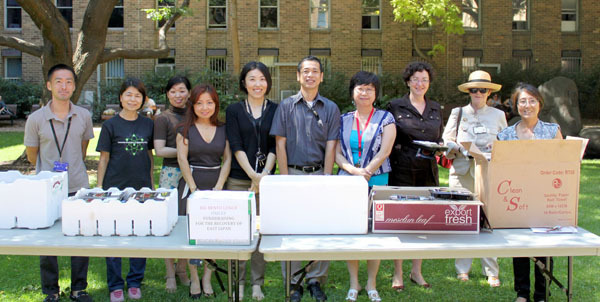 Since 2012, Big Bento Lunch participants have raise more than $30,000 for many charities by holding family picnics or parties or and getting bentos delivered to work places. It is simple and fun!